With the summer transfer window set to open tomorrow, Newcastle United have made an early breakthrough. 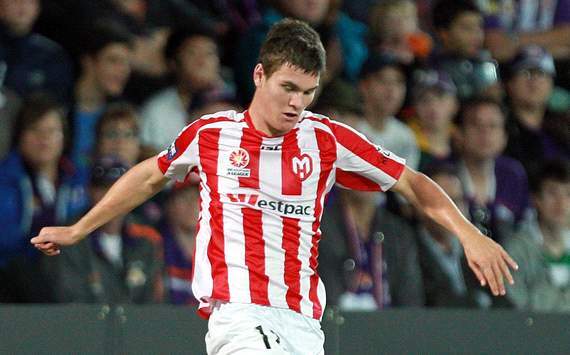 According to reports, Newcastle are on the verge of signing 19-year-old defender Curtis Good from the Melbourne Heart, which will make him the club’s second official signing of the summer after midfielder Romain Amalfitano. The Australian defender is valued at only £400,000 and is by no means someone to get particularly excited about just yet. But at only 19 years of age, Good has the potential to develop into something good, especially if you trust the judgement of the best scout in the Premier League, Graham Carr. Good impressed both Carr and other members of the Newcastle brass in a recent two-week trial, and that sounds pretty good considering their reputation for unearthing under-appreciated talent. Newcastle will look to get the deal done before the start of pre-season training next week, which will allow Good the chance to prove himself worthy of a place in the first team squad early on. Despite being more of a player for the future, Good is supposedly the only centre-back Newcastle are pursuing this summer, so there’s a chance he could get some playing time behind Fabricio Coloccini and Steven Taylor at some points in the season, especially in the Europa League. The team is certainly in need of some young depth for their battles in Europe, and Good could be part of a Newcastle line-up including fellow youngsters Haris Vuckic, Shane Ferguson and Sammy Ameobi. The Magpies and Good’s agent Zeljko Susa are currently working out a five-year contract, but his agent told The Journal that he’s not 100% sure that a deal will go through. Having taken the Melbourne Heart to the Australian League final, Good is a player who can easily buy into the winning attitude at Newcastle, and he appears to be a good fit for the club. As a player on the cusp of international football for Australia at such a young age, it’s obvious the kid has talent. It should be fun to see him develop on Tyneside, and who knows, he could end up as a big part of Alan Pardew’s future plans.